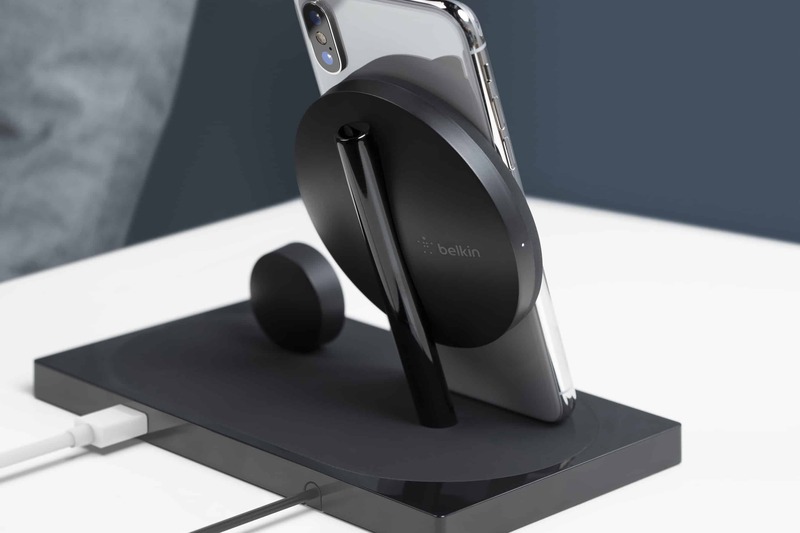 The PowerHouse Charge Dock by Belkin. The new charging dock is optimized for iPhone XS and iPhone XS Max. One of the best parts about it is you can choose between charging your devices wirelessly, or via the Lightning connector. 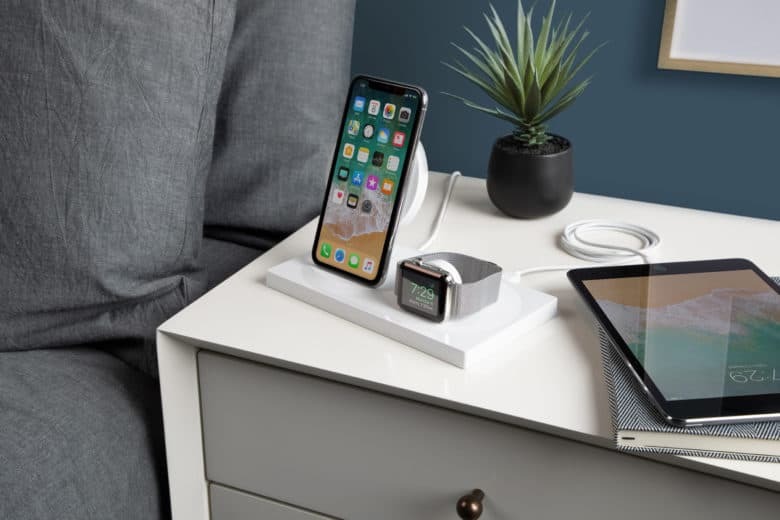 Available in both black and white models, the BoostUp wireless charging dock provides 7.5W of power to Qi-enabled iPhones. The Apple Watch charging part puts out power at 5W/1A and there’s an extra USB port in the back to charge another device. Its powerful enough to still charge your iPhone through a case, as long as the case is only 3mm thick or less. You can use the dock as a nightstand for Apple Watch too. Apple stores will start carrying the dock this December priced at $159.99.